← VICTIMS, VICTIMIZERS, VICTORS: Which are you? The island where I live has an incredible aura about it. Deer Isle, Maine attracts many fine artists and highly skilled craftspeople as well as vacationers who come from all over the world to admire the beauty of the natural environment. 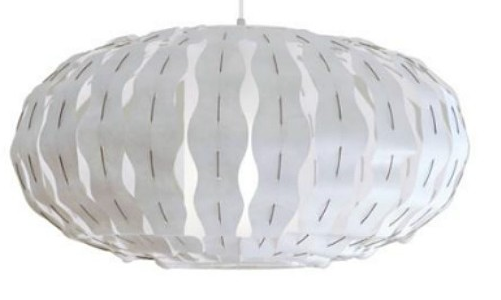 Julie Morringello is the creative genius behind a new lighting resource called modernmaine. Julie’s “Uni Collection” was inspired by the exterior shell of a sea urchin like the ones that frequently wash up on the shores of Deer Isle. Uni is the Japanese word for sea urchin. 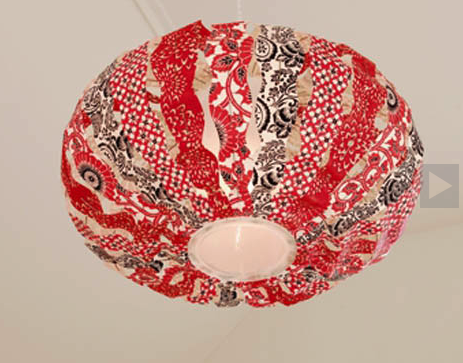 The lamp diffusers of the Uni are made from Tyvek or paper of your choice and can be switched out at whim. Displayed here are two versions. Best of all, these organic designs are very good feng shui. Why? Creative, beautiful, good yin yang balance, just good energy all around.